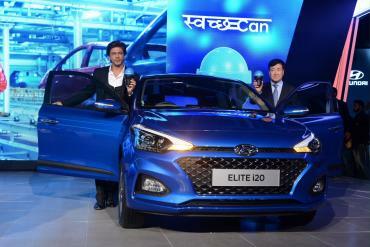 Hyundai has launched 'Swachh Can' - a portable dustbin for all its cars. From March 1, 2018, all new Hyundai cars will be equipped with factory-fitted Swachh Cans. The initiative is part of 'Swachh Move' - Hyundai's new corporate social responsibility (CSR) pillar for India, which has been launched in support of the Swachh Bharat Abhiyan. The company claims that according to a survey conducted, 98% respondents cared about cleanliness of infrastructure and more than 95% were in favour of a portable dustbin for cars. Hence, it decided to build one and offer it as a standard feature in its cars. Swachh Can will be promoted through distribution in all Hyundai dealerships and service workshops.